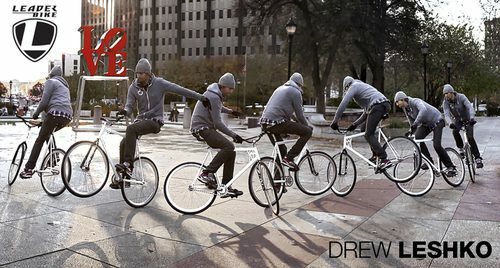 Drew Leshko in LOVE park with a nice nose-pivot, one handed slider to hand-off for Leader bikes. Nice sequence shot man! The LOVE sign and the Leader gusset make for an interesting relationship. Drew, you gotta come up to NYC for the Revival premiere! It’s been a while man!